Strawberry Shortcake is my contribution to Maheswari's AFAM 'Fruit of a month' event.Can you guess what fruit for February the "month of love" would be? Strawberries of course!! :) Thank you for hosting Mahesh. Slice 1 cup Strawberries.Chill in the Fridge. Add few strawberries to 1/2 cup Yogurt,2 tbsp Sugar and blend until smooth,,chill in the fridge. You need Whipped Cream home made or store-bought. Some powdered Sugar to sprinkle on top. Mix 1 cup Plain flour, 3tbsp softened butter,1/4 cup sugar,1 tsp grated Lemon zest,1/4 tsp Ginger pd,2 tsp Baking powder/1/2 tsp Vanilla Essence until crumbly.Add 4 Strawberries chopped and 7-9 tbsp milk,mix gently just until it clings together. Take a double layer ed thick bottomed baking sheet,divide the dough into four or six(do not mix the dough too much)and place them on the sheet few inches apart.Put in the oven and bake for 6-10 mins or until puffed and lightly golden on top.Do not overbake! Take them,slide them onto a cooling rack and cool them completely.Carefully slice across each Shortcake into two.It's easy to slice if you chill them in the fridge covered for a while to soften them.These will not feel like soft cake but crumbly on top,softer inside. Did you know that Strawberry is the state fruit of Louisiana?! Garden Strawberry is the most common variety of strawberry cultivated worldwide. Like all strawberries,it is in the family Rosaceae.It's fruit is technically known as an accessory fruit,in that the fleshy part is derived not from the plant's ovaries but from the peg at the bottom of the bowl-shaped hypanthium that holds the ovaries.The Garden Strawberry originated in Europe in the early 18th century.More Info at WIKI. Nutrition: One cup (144 g) of strawberries constitutes approximately 45 calories (188 kJ) and is an excellent source of vitamin C and flavonoids. Now get a fork and dig in! Thank you Sandeepa.I am sorry that you still can't get in.Try from the Firefox browser,it's working for many this week.Enjoy the recipes. oooh...this is beautiful and one of my favs!! do you remember the strawberry shortcake dolls that actually smelled like the cakes?? I just read at Sri's blog that you like horror films...me too!!!! Thanks for this mouthwatering colorful entry Asha.I was drooling over here.H is sitting next to me and asking me what's that..what's that?..going crazy seeing this pic.I will definetly try this one next week.Thanks again. What a nice idea to make short cake ! :) . I jsut keep on steching my mind and cant think beyond strawberry shake... he he he .. perhaps that because i loe it the most. so you have any idea then tell me secretly ;), I want something nice to make out of strawberry :)) . What a lovely cake that is!!!! I never knew about this short cake !!! Hi Coffee,thanks my friend! :)It's a little harder and flatter than cake,almost like soft biscuit.Enjoy making it.My entry for your event next! Your MBA is great for making money,my MBA(?!) is great for cooking and managing home! ;D Both are great for managing life,right? Find that fork and make some Shortcakes for your honey! Cannot wait to dig in. 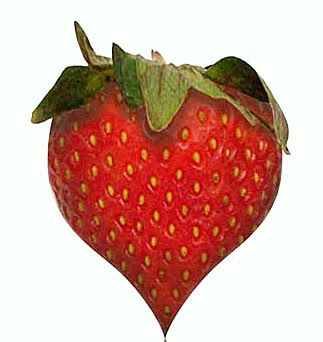 And I noticed that the strawberry picture just resembles the heart shape. No wonder it is associated with romance and valentines day. Thanks for the recipe. Hi Usha,thank you.It is wonderfully full of calories too! ;D But we don't eat everyday,do we? Enjoy. Okie Dokie shn!! Go ahead and take it,pleeeaassee!! :D If I keep on cooking desserts,I will have to get a whole new wardrobe!:)Thanks. OOoOOh Look at the strawberries ... They look so lovely. Are they fresh or frozen Asha.. I was hunting for good strawberries yesterday but somehow could not find very good colourful ones..
Hi Susan,it is McDreamy,isn't it? ;D enjoy the weekend. Asha, thanks for reminding me of pooja's request to share something on V day.I totally forgot about it.Just added a few lines to the post..if you can plz have a look..
You are welcome Mahesh, I am sure you have plenty!I will check it out of course! :)) Gattina forgot too,reminded her as well. 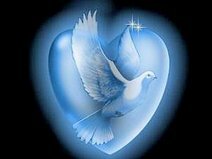 Have a great weekend and V'day in advance. If only I was in your city, I would have shamelessly invited myself over to your house for breakfast, lunch and dinner :). Adbhutha vada recipe!! This is a beautiful entry , I love strawberries and I should definitely make it..its so easy..
Just loved it, loved it & love it. Nice cake asha. Just going through your recipe index. This one is very impressive.I'll make and let you know how it turned out.Now I need to hunt for good strawberries.